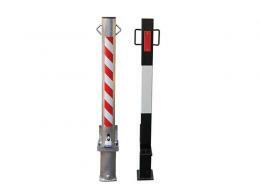 Our high visibility parking posts act as a rigid barrier to resist low speed impacts. We recommend use with a padlock - which is included - as is a heavy duty square steel section. 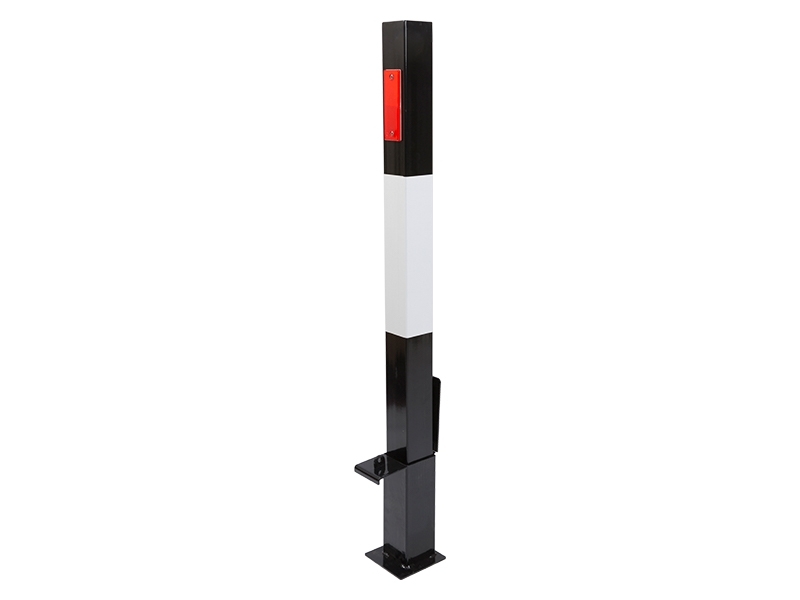 This is a high quality parking post with a strong powder-coated, high visibility finished. 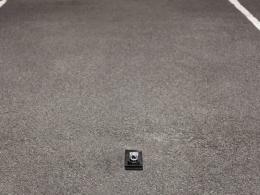 For installation, the base unit must be cast in a concrete foundation and drainage needs to be provided at the base. 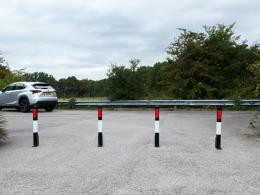 Please contact us if you require any more information on our range of security posts. What is the purpose of a Below Ground Removable Post? Below Ground Removable Post is unique yet practical piece of equipment when used in conjunction with traffic and car parking security systems. This high visibility Below Ground Removable Post acts as a rigid parking barrier to resist low speed impact from vehicular collision. Our strong powder-coated, high visibility finished removable posts are of the best quality and designed for anti raid, anti steal and vehicle protection purposes. Where can a Below Ground Removable Post be used? These parking bollards are designed for ram raid protection of shop fronts, personal car parking spaces, reserved parking slots, etc. or at spaces where unwanted vehicle access is a problem. This type of security post can be can be locked and unlocked in a matter of seconds and can be removed easily when not in use. 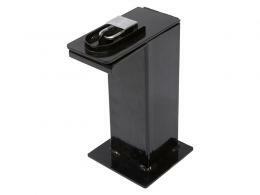 We recommend using it with a padlock which is included in the package as it is a heavy duty square steel section. Retail locations, private offices, and medical clinics are just a few of the popular locations they can be found. 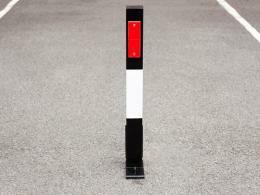 Multiples of these parking bollards may be used as driveway bollards, driveway security posts, or car park barriers. Who might use this Below Ground Removable Post? Alongside its domestic usage it can be used throughout the automotive industry, where it provided an excellent tool against theft of enclosed vehicles. People who work shifts and have to park their cars in open and unsecured yet permanently reserved spaces must use these Below Ground Removable Post for security. Along with the domestic or personal use, this Removable Post can also be used for light commercial purposes. 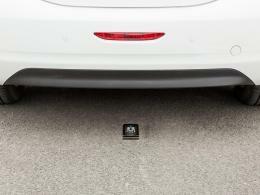 These can be used to block an entry to specific premises and parking lots. Our Durable Below Ground Removable Post is painted with a hi visibility black and white finish product. Its Heavy duty square steel section, lockable hinged base-plate cover and reflectors make it a perfect choice for people looking for premium vehicle protection solutions. Its black and white colour combination with reflectors makes it highly visible. Please note that appropriate drainage to socket is required. The Workplace Depot offers a standard one year warranty on all parts and labor. Our Below Ground Removable Post fully comply with all local council and government regulative manufacturing requirements to ensure the safety of your customers and staff. Parking post have many uses, when anchored below ground they make an effective tool in preventing cars from jumping the curb and injuring pedestrians, flipping over during inclement weather and also acting as a guard for other unforeseen events that may cause a car to move outside of the allocated boundaries.